Who is Shi Xiaolong ? Shi Xiaolong (Real name: Chen Xiaolong) born 6 January 1988 in Dengfeng, Zhengzhou, Henan), also known by his stage name Shi Xiaolong ("Sik Siu-Lung" in Cantonese), is a Chinese actor and martial artist. 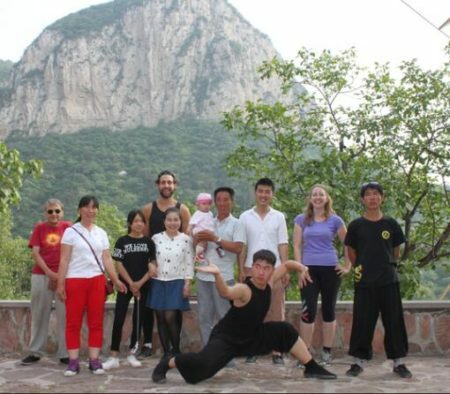 his Shaolin Temple name is Shi Xiaolong and he was born into a martial arts family in 1988. He became a disciple of Shaolin Temple Abbott Shi Yong Xin from the age of 2 years old. Shi Xiaolong has remarked as an exceptional young boy; a gifted martial arts student and remarkably hard working. He gained attention in the entertainment industry after his performance at the International Shaolin Kung Fu Festival in Zhengzhou at the age of four.He became a child actor in China and achieved great success in films such as the 1994 martial arts comedy Shaolin Popey II: Messy Temple (新乌龙院). 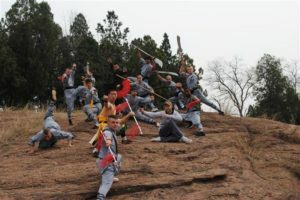 Later in through his formative years and into adulthood, Shi Xiaolong became involved in a number of creative and film productions exhibiting his martial arts skills. Now he is a well known international martial arts film star.He holds the honorary titles of “Chinese Mainland’s number one Kung Fu Prince,” “Kung Fu little emperor“, “Jet Li’s successor“, “one of China’s three little dragons” and so on. In 2003, he stopped acting and went to study in the United States.In 2005, Sik decided to take time off from acting to concentrate on school. He left Asia for to attend the Professional Children's School in New York. In the summer of 2008, at the age of 20, he graduated from the school and has plans to return to Hong Kong to work on movies again. 1992 – He was awarded for his martial arts Excellence in China’s Zhengzhou International Shaolin Wushu Festival performances. This was awarded especially for his Shaolin Tong Bei Quan and Rohan stick. 1993 – he and the well known Taiwan singer Jimmy Lin signed a contract with Chang-Hong Channel Film & Video Co. Ltd to produce their first film “Tornado Boy”. Thereby opening up more opportunities in the film and television industry. 1995 – Shi Xiaolong was invited as a special guest by the Hong Kong Film Association for the Jackie Chan awards. In the same year, he also performed for the 43rd World Table Tennis Championships’ opening ceremony. 1996 – He participated in CCTV’s “Lantern Festival Celebration’ demonstrating Kung Fu. 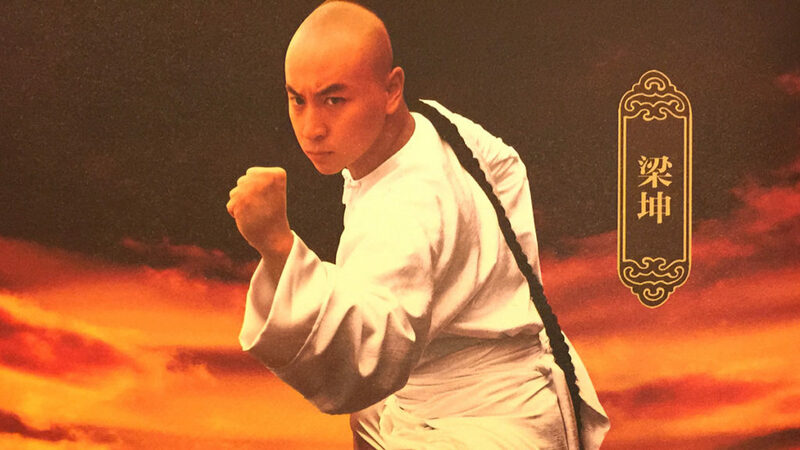 1998 – Shi Xiaolong won the Fifth Annual Chinese Music for Television Competition with his original entry “Shaolin Shaolin” which accompanies the film production. 1999 – He performed at the CCTV Spring Festival Gala with the “New Tortoise and the Hare” comedic feature. In the same year, he also acted as a presenter in the 52nd Henan Children’s Television Show for the Ultraman section. 2002 – Shi Xiaolong was featured in the second annual Chinese Television Awards and was named in the Top Ten most popular Television shows. 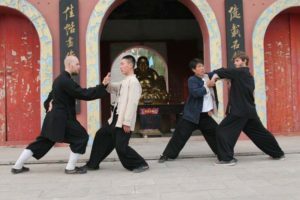 Since the early 00’s, Shi Xiaolong has produced numerous music, television and film productions; exercising his creativity whilst exploring martial arts in other artistic forms. In recent years, Xiao Long has become internationally recognised for his production expertise, acting skills, as well as his martial arts mastery. 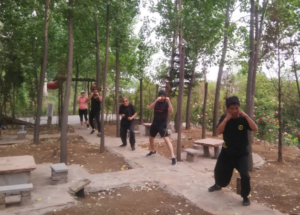 If you are searching for a good place to learn Shaolin kung fu in China, Taizu Shaolin Kung Fu School is the best choice. 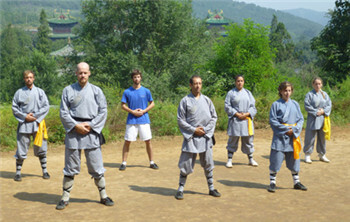 China is the most popular destination of martial arts enthusiasts.